In the 40s 3URA began, with the plantation of the first plots of Treixadura, Godello and Loureira, in a magic triangle of 13.000 square meters, selected by 3 basic characteristics: average altitude level of 150 meters, soil texture with a balanced proportion of slime, clay and sand, and adaptation of rootstock, grape vine and structures. Average output: 5.000 Kg/Ha. Elaborated with drained must only. VP: Golden yellow with intense greenish glint. 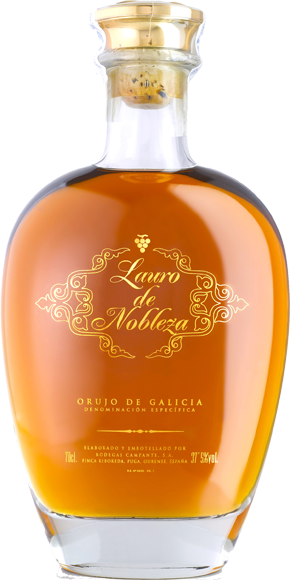 OP: Very intense and complex with honest honey and citric notes. Balsamic opening. Ripe fruit. TP: Both fruity and pulpy; chewable, really dense with nice milk notes. Lasting and very recognisable fennel and bay leaves aftertaste.